The UK will become one of the first countries to address the challenges of the changing world of work in the modern economy. Millions of flexible workers will receive new rights under major government reforms as the UK becomes one of the first countries to address the challenges of the changing world of work in the modern economy. Today’s ‘Good Work plan’ comes in response to the independent Taylor Review, published last year, which investigated what impact modern working practices are having on the world of work. The review found that the strength of the UK’s labour market is built on flexibility but that a clearer focus is needed on quality of work as well as the quantity of jobs. Delivering on the Prime Minister’s pledge to not just protect but build on workers’ rights, the government today (7 February 2018) set out proposals to ensure workers know their rights and receive the benefits and protections they are entitled to, and that action is taken against employers who breach workers’ rights. We are proud to have record levels of employment in this country but we must also ensure that workers’ rights are always upheld. Our response to this report will mean tangible progress towards that goal as we build an economy that works for everyone. Matthew Taylor recognised that the UK’s employment law and tax law can fail to provide the clarity that employers and individuals need. The government is also launching a detailed consultation examining options, including new legislation, to make it easier for both the workforce and businesses to understand whether someone is an employee, worker or self-employed - determining which rights and tax obligations apply to them. The Taylor Review said that the current approach to employment is successful but that we should build on that success, in preparing for future opportunities. We want to embrace new ways of working, and to do so we will be one of the first countries to prepare our employment rules to reflect the new challenges. We will take forward Matthew Taylor’s recommendations and commit to pursuing the quality of work as well as number of jobs. The ‘Good Work plan’ puts the UK at the front of the pack in addressing the challenges and opportunities of modern ways of working, it is an important part of the Industrial Strategy and will enhance our business environment as one of the best places to work, invest and do business. The UK’s Industrial Strategy is a long term plan to build a Britain fit for the future through a stronger, fairer economy. Through this we will help businesses to create better, higher-paying jobs - setting a path for Britain to lead in the high-tech, highly-skilled industries of the future. Today’s Good work plan comes in response to Matthew Taylor’s Review: Good work: the Taylor review of modern working practices in which he outlines the “7 principles for good quality work for all”. These are complex issues and the government will consider the impacts of these reforms on business and other groups before implementing changes. Over the coming months the government will work with industry to consider ways of encouraging the development of online tools for self-employed people to come together and discuss issues that are affecting them. The government has acted on all but one of Matthew Taylor’s 53 recommendations. It rejected his proposals to reduce the difference between the National Insurance contributions of employees and the self-employed following Budget 2016 and subsequently have no plans to revisit the issue. The employment status consultation makes very clear that changes to the rates of tax or NICs for either employees or the self-employed are not in scope. 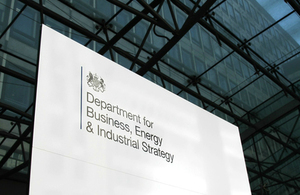 The government has acted on all but one of the joint Work and Pensions and Business, Energy and Industrial Strategy Select Committees’ 11 recommendations. Their report ‘A framework for modern employment’ echoed many of the recommendations in the Taylor Review including greater clarity around employment status, better upfront information to workers and increased enforcement of employment rights. Our National Minimum and Living Wage Campaign seeks to drive awareness and compliance. The government research ‘The experiences of individuals in the gig economy’ to be published today found that gig workers enjoyed the flexibility and freedom to choose when they worked.